There are mere hours to go before we see what Apple has in store for us this year, at least regarding its iPhone range, but that doesn’t mean the leaks have all dried up. We’ve got something on both the iPhone 5S and the iPhone 5C, but as with every rumor, just remember it’s all unofficial at the moment. 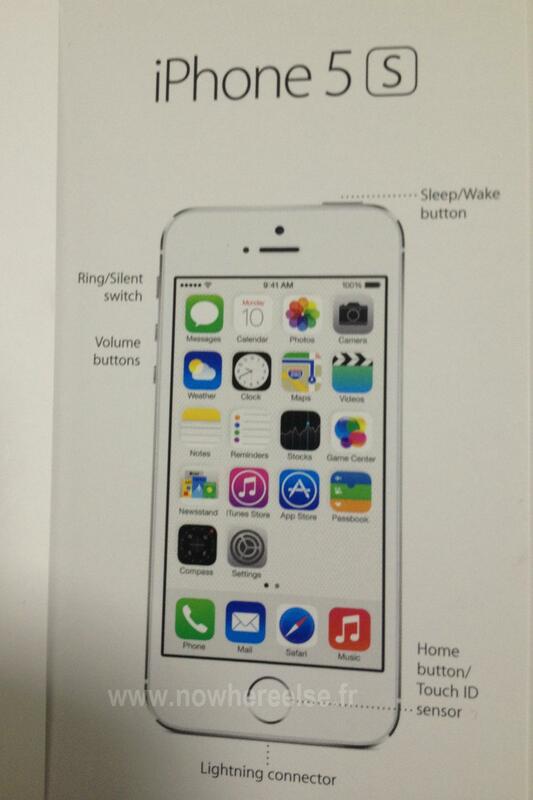 The picture you see to the right is supposedly the iPhone 5S’s user guide, and it shows a phone which looks identical to the iPhone 5 running iOS 7, but the arrow pointing to the Home button says it also houses a Touch ID sensor. One of the longest running rumors surrounding the phone is that it’ll have a fingerprint reader built-in, which this image goes some way to corroborate. It also ties in with another leak, showing an iPhone with a colored ring around the button itself, which hints it does something other than exiting an app. What hasn’t been discussed in much detail is what functions the fingerprint sensor will activate. Surely it won’t only be to unlock the phone, as that seems a bit of waste, but we’ve not heard anything about NFC, a wireless payment system, or quick access to certain apps. On to the iPhone 5C, the budget iPhone expected to launch alongside the iPhone 5S, and we’ve got a very brief video of the phone – or at least, a phone – actually running. It’s a mere 15 seconds long, and shows little other than someone unlocking it, then cycling through a couple of apps. Is it really the iPhone 5C? It’s impossible to say, but it does have a colored body shell from what we can see, which could be its signature design element. Apple will be holding its special media event at 10am today at its California headquarters, where we’ll find out everything about the next iPhone and potentially, its cheaper sister phone.